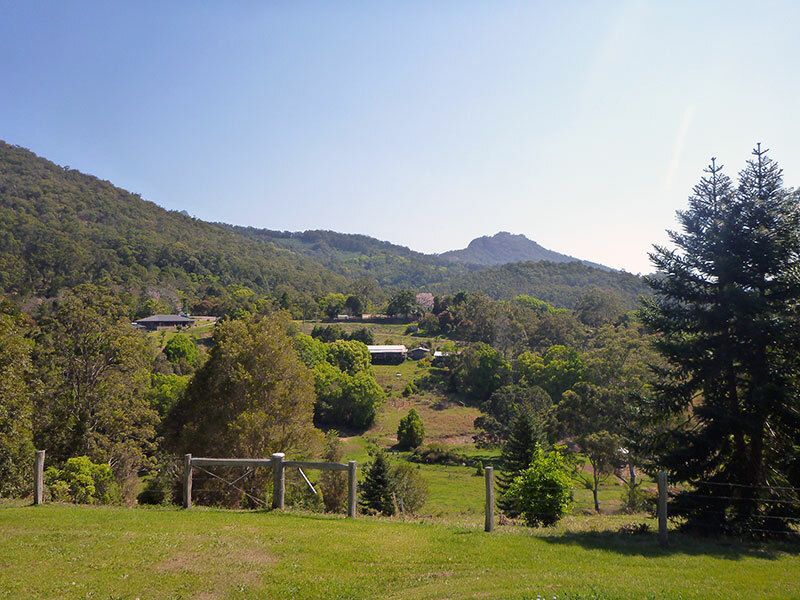 Walk the forested trails of our scenic mountain backdrop. 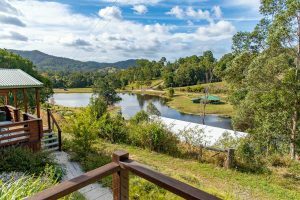 Stop to feed the contented and friendly cows as you stroll the property, or plunge into a cooling river that flows off the lush Border Ranges National Park. Enjoy the beauty, tranquility and spiritually surcharged atmosphere of New Govardhana. Spend a weekend (or longer) experiencing the peaceful spiritual life at our Hare Krishna farm community; where you can truly unwind and relax amid a symphony of morning bird song, as you take in a magnificent sunrise or spectacular sunset. 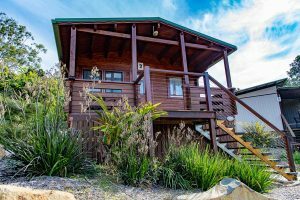 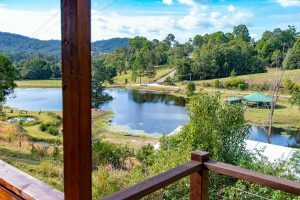 Our Cabins are located close to the temple compound and across the lake on the adjoining ridge with peaceful views across the valley from their private verandas. 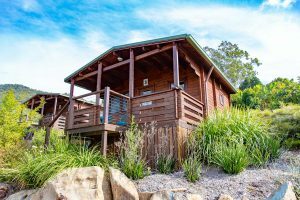 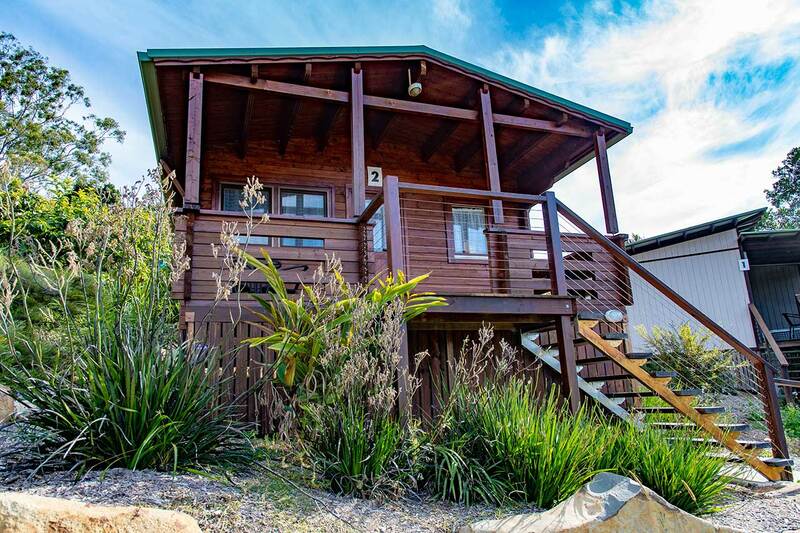 Cabins feature bedroom, kitchenette and attached bathrooms. 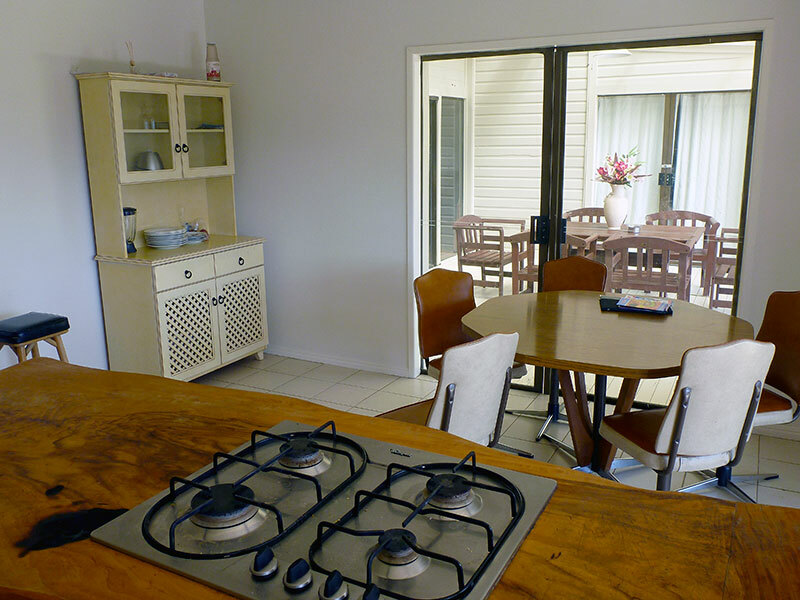 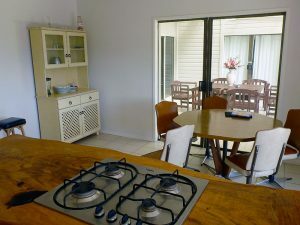 Facilities include a heater, kettle, toaster and small fridge. 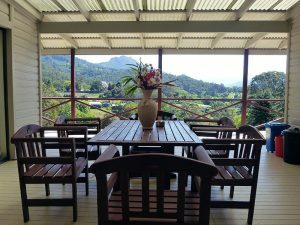 Additional $20 per person/per night. 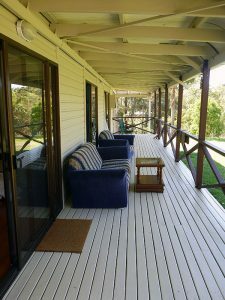 Weekly rates are also available. 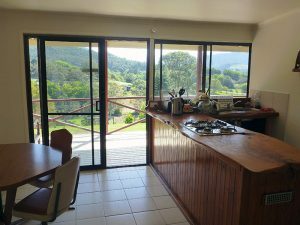 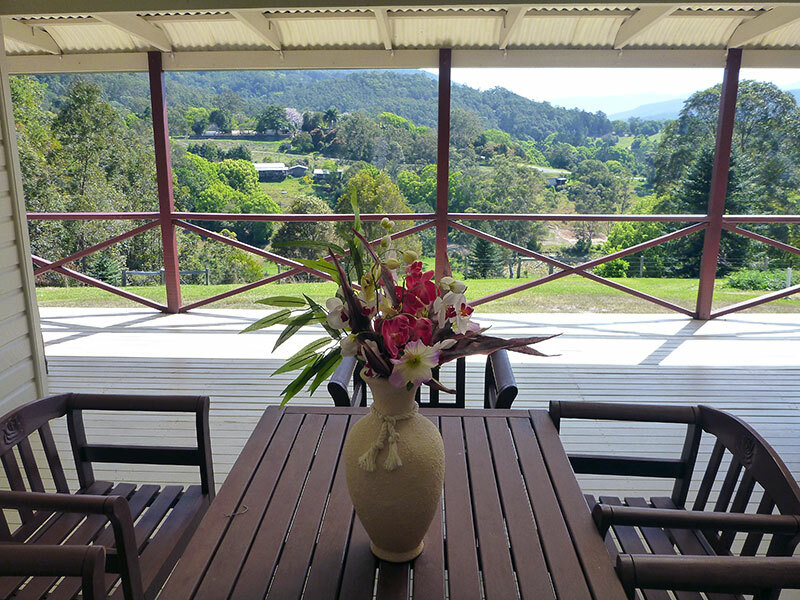 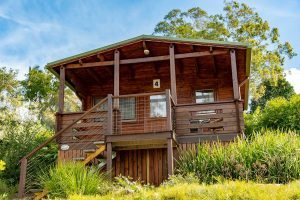 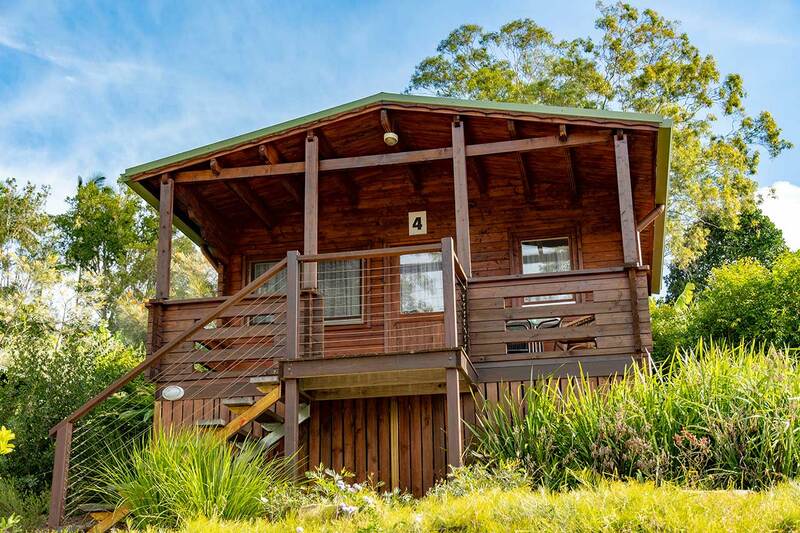 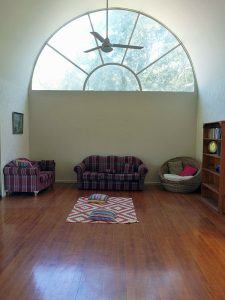 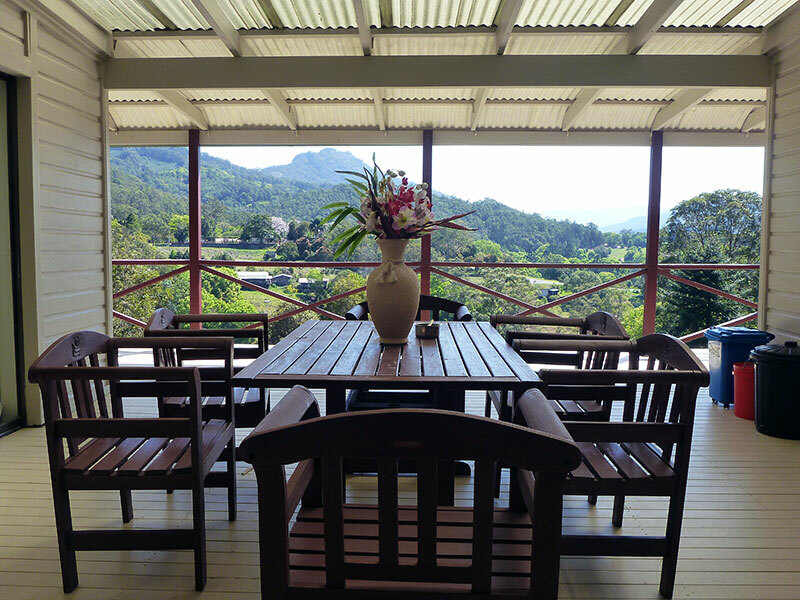 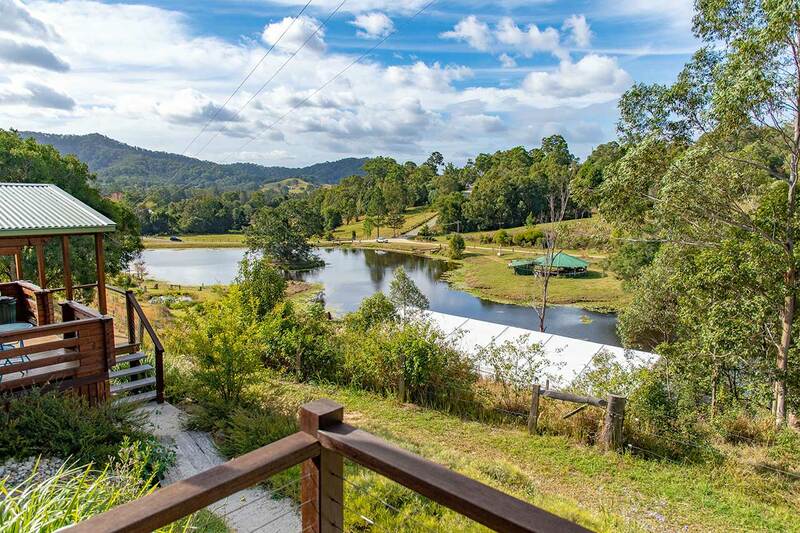 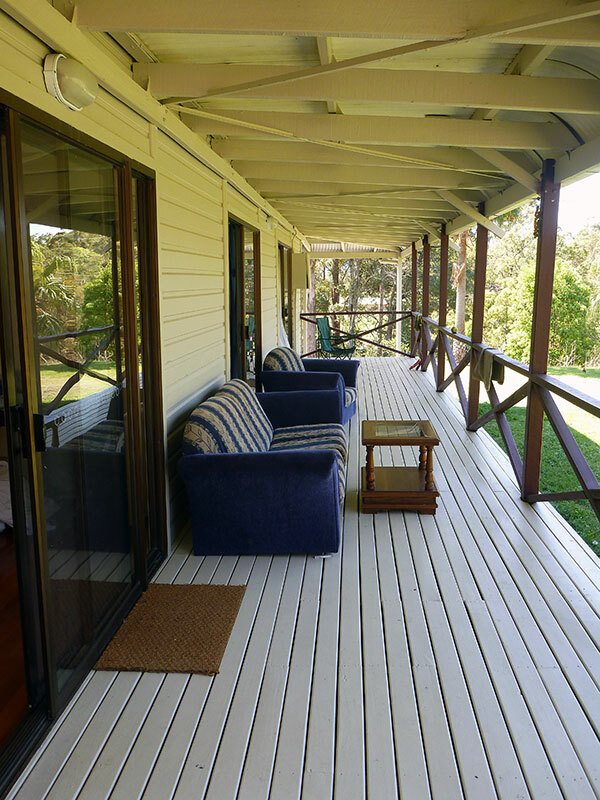 Our Guesthouse is set on a hill overlooking the tranquil rural surroundings of New Govardhana farm, with beautiful views across the valley to the temple and peak of Mount Warning. 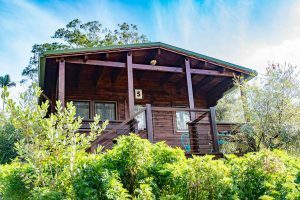 Facilities include a spacious lounge room with sofas and a bookcase of spiritual books, wraparound verandas to relax and unwind, a homely vegetarian kitchen for guest self-catering, and communal male and female bathrooms.